Many people are born with birthmarks. Birthmarks can be brown, tan, blue, pink or red. Vascular birthmarks are made up of blood vessels bunched together in the skin that can be flat or raised, pink, red or bluish discolorations. Macular stains- These faint, red marks are sometimes called “angel’s kisses” when found on the brow and eyelids, and “stork bites” when found on the back of the neck. They may also occur on the tip of the nose, upper lip and other parts of the body. Hemangiomas- these birthmarks generally appear during the first year of life, and can grow very rapidly for about one year. Most never get bigger than two or three inches in diameter, but some may be larger. Half of all hemangiomas are flat by age 5; nine out of 10 are flat by age 9. Many disappear completely; others leave a faint mark. 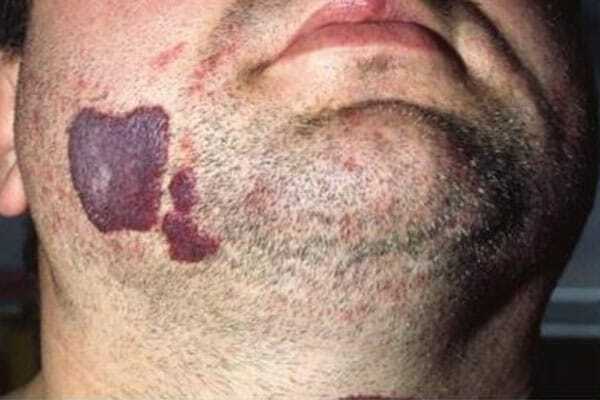 Port wine stains- sometimes called a nevusflammeus or capillary hemangioma, these uncommon birthmarks appear at birth. They are flat, pink, red or purple, found most often on the face, neck, arms or legs. They can be any size. They grow only as the child grows. Over time they may become thick and develop small bumps or ridges. Port wine stains do not go away by themselves and last a lifetime. Birthmarks- especially port wine stains on the face- can create emotional, social and economic burdens. 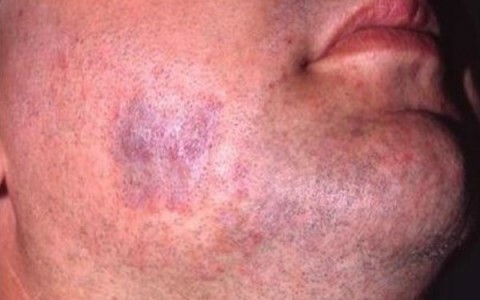 Sometimes a birthmark that grows or shrinks rapidly can form an open sore or ulcer. These sores can be painful and can become infected. Birthmarks located near bodily orifices can cause special problems and should be monitored closely. The pulsed dye laser is a device that produces a bright light that is absorbed by abnormal blood vessels, which are destroyed without damaging the surrounding skin. The laser uses yellow light, which is very safe and does not result in any long-term skin damage.